Largehearted Boy, a music blog featuring daily free and legal music downloads as well as news from the worlds of music, literature, and pop culture, has posted Masha Hamilton’s preferred music playlist that relates to her recently released novel, What Changes Everything. 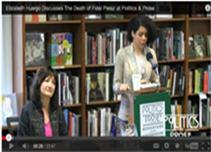 Elizabeth Huergo, author of The Death of Fidel Perez recently released by Unbridled Books, is shown discussing her novel and answering questions at Politics and Prose bookstore in Washington, D.C. 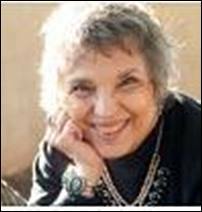 The TimesDispatch.com, a website version of The Richmond Times Dispatch, has reviewed Virginia Pye’s recently released novel, River of Dust, and called it “...a touching and haunting novel”.